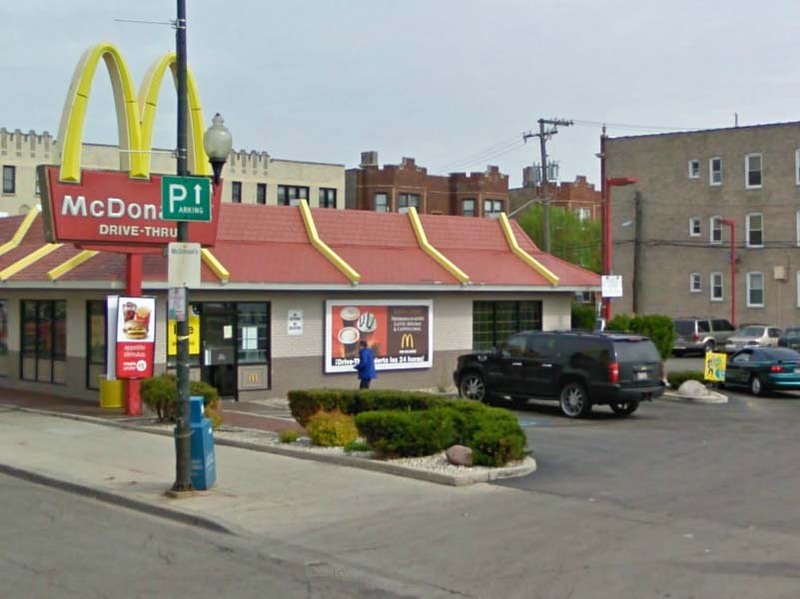 While the “pedestrian street” designation was lifted last month at the request and behest of the alderman to make way for the drive-through (see Update on Milwaukee Avenue “pedestrian street” designation), McDonald’s still must apply for a new special use permit for its proposed new drive-through. Its current drive-through permit will be null as soon as it demolishes its existing building. The alderman has clearly already decided to support the drive-through, but it’s important to see what the proposed drive-through expansion means for Milwaukee Avenue and its would-be pedestrian orientation. We, as a community, should obtain some benefit from this drive-through expansion. Maybe it’s bringing the building closer to the adjacent streets; maybe it’s how the drive-through traffic is routed; maybe it’s improved landscaping. We won’t know until we see what’s proposed. It’s also important to note that this is not the official city public hearing on the issue. That will be before the Zoning Board of Appeals, possibly at its next meeting February 17. Hope you can first make Thursday’s meeting. This entry was posted on Monday, January 30th, 2012 at 12:39 pm and is filed under Logan Square, Logan Square businesses, Milwaukee Ave..	You can follow any responses to this entry through the RSS 2.0 feed. You can leave a response, or trackback from your own site. Is this more of an anti-McDonald’s/Corporate America thing? It doesn’t seem like much is physically changing with regard to how the site interacts with the right-of-way or public realm. You can have both a pedestrian-friendly environment and a drive-through. Look at the McDonald’s at State and Chicago. Or the Portillo’s a few blocks away. Has anyone made up a printable flyer that can easily be printed out? I’ve noticed that Rey’s flyer is very brief -and fails to even mention the term “pedestrian street” -instead using some officialese language that obscures the meaning of what he is trying to do here. Short of that I guess I’ll print out this page with the web address to hang in my building’s lobby. The damage to pedestrian friendliness has already been done given that they already have a curb cut on Milwaukee Ave and a drive thru. I don’t know how the site could get any worse from a pedestrian access standpoint. I’m guessing they just want to update their drive thru features and possibly building architectural features since that seems to be the extent of modifcations McDonald’s are currently making to their sites. The only thing I’d be concerned about is internal access drive width and stacking spaces should they be adding a second drive thru lane. But it’s doubtfull wholesale changes are desired by McDonald’s unless they would be expanding the development onto adjacent sites. I suggest to build two more banks next to Logan Monument and use Boulevards for parking. Fast foods and Banks kill Chicago’s public space. They don’t care about our “city environment”. They care about the profit. I moved to the city to walk to the store, bar or library. If you need drive through – move to suburbs where you have on each corner: two banks, fast food and gas station. Looking nice? I don’t thinks so. Support local small business not the chains.